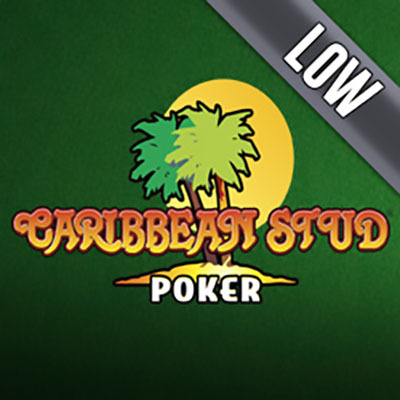 Caribbean Stud Pro Low has stripped the usual poker to its bare essence. It is all about the cards and their combinations. The game simply has no room for bluffs and deception. And, we must say, it is a refreshing change. The game not only keeps things simple, it also has minimized potential loss with a low betting range. Making this variant ideal for novices or players not looking for anything too financially pressing. Caribbean Stud Poker is an easy-breezy version of standard poker. You are only playing against the dealer, there is no bluffing necessary – it is a simple ‘what you have is what you play’ type of game. This is especially ideal for single players who are playing online. To win in this game, all you need is a better hand than what the dealer has. This may not be too difficult to do as the game is a much-simplified version of general poker. Given that there is no bluffing involved, whoever has the better hand wins. The only thing is, bets need to be placed before the cards have been dealt. In this game, players are permitted 1 hand per round. So the 5 cards you are dealt are it – there is no possibility of a substitution. The hands follow the format of poker rankings with the exception that the dealer loses if they don’t carry either a King or an Ace. If the player wins, they receive the following payout. Caribbean Stud Poker Low is a direct version of poker where higher hand = win, and lower hand = lose. You have the decision to up your stakes if you’ve landed impressive cards or fold if you haven’t. It is a great starter game for people trying to get into poker or for poker players who are after some simplicity.